Multi-cultural adventures in food, commence! 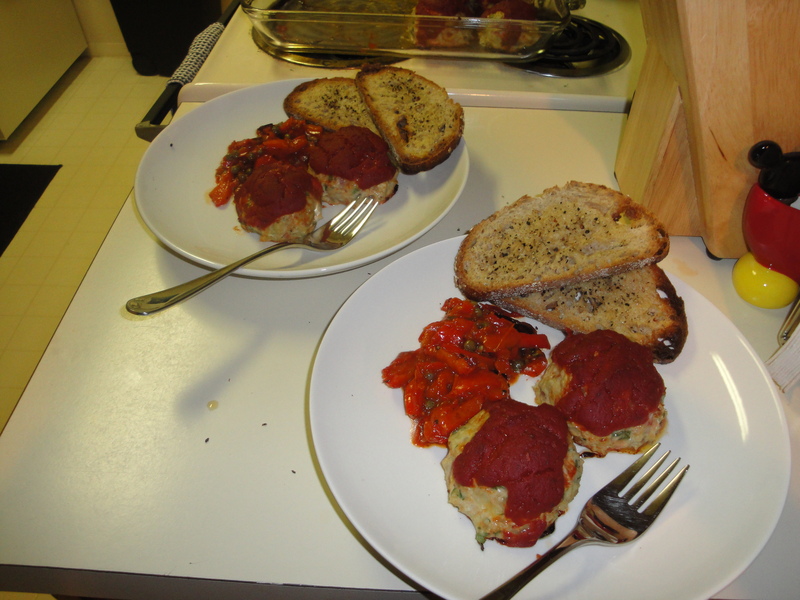 Lately Jon and I have been obsessed with these chicken meatballs we found on epicurious.com. I can’t remember ever making meatballs with my family, and my vision of meatballs has always involved some sort of swimming-in-sauce, but these meatballs are none of that. They are, despite a healthy dose of pancetta, light (well, as light as meatballs can be), and not smothered in sauce. Ground chicken, pancetta and sauteed onions, parsley, some breadcrumbs, all topped with a light tomato sauce and served with some excellent pepperonata (we like to chop ours up in a food processor a bit, just to make it chunky). 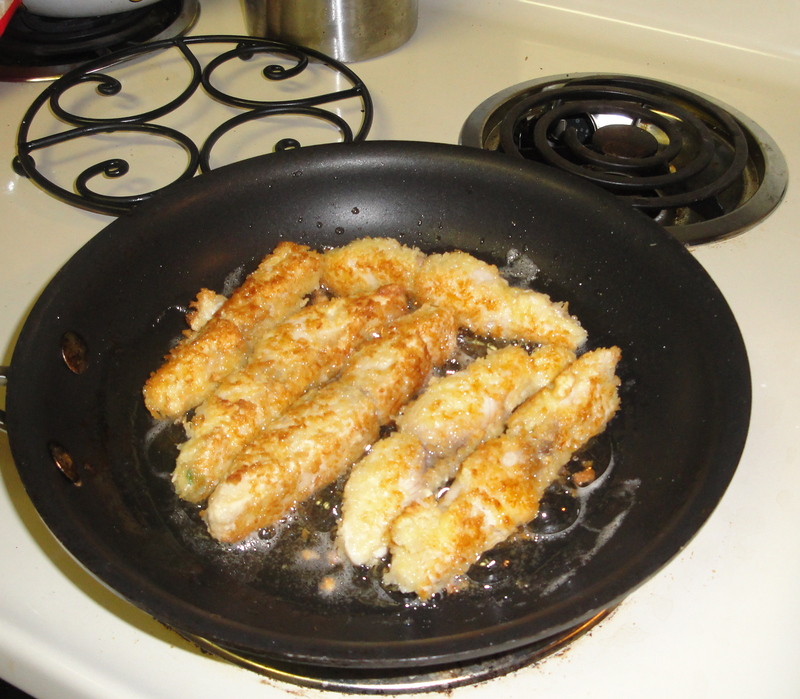 Serve it with some garlic bread and you have an awesome dinner. Last night was Cinco de Mayo, which isn’t a holiday I ever get behind because I am far too snobby to partake in these Americanized Ethnic Drinking Holidays. Yes, I am that girl who sneers at St. Patrick’s Day, go ahead and hate me. 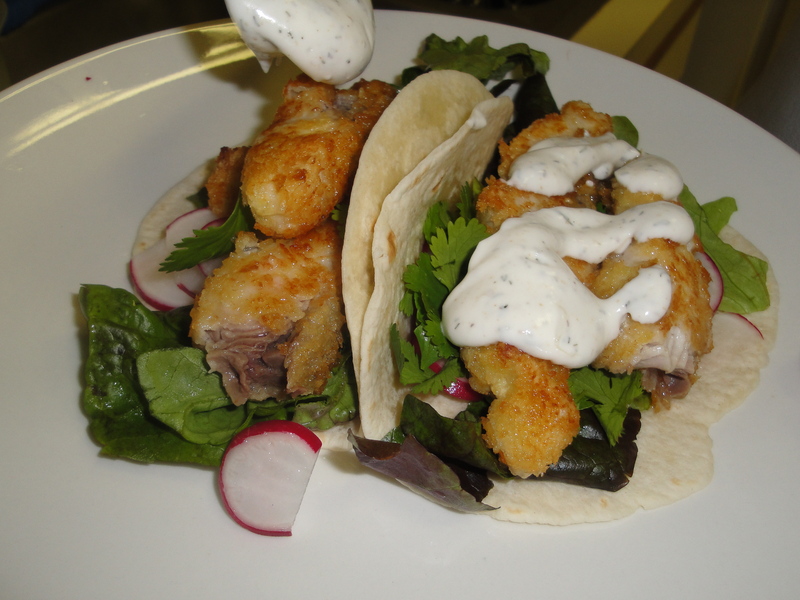 I do, however, love me some Mexican food, so Jon and I decided to celebrate Cinco de Drinko with some pan-fried fish tacos–panko-breaded mahi-mahi in a white sauce with some lettuce and radishes, totally yummy. We made some guacamole to round out the meal as well. So, those were delicious as well. Tonight I made Giada de Laurentiis’ recipe for raspberry ricotta mousse–no picture, because it basically looks like pinky-purple pudding. The taste is fantastic, light and airy and perfect for today’s ridiculous 90 degree weather, but I am trying to figure out how to lessen the gritty ricotta texture. Maybe more time in the food processor? Who knows.